The weather is getting warmer and people are looking to spend more time out in their gardens doing those essential jobs. Meanwhile opportunist thieves are looking to steal precious garden tools including your lawn mowers, strimmers and hedge cutters. They are also looking for power tools and bicycles, in fact anything that can easily be sold on with little effort. Warwickshire’s Community Safety Team recommend residents use this time to make sure their belongings are secure in sheds and garages, and have put together some helpful advice. Make sure you actually lock up the shed, many are left unlocked and do not have security. Make sure your shed is in good condition, the door and frame are in good order and the glass is not broken, better still have windows laminated or plastic ones installed. Fit the appropriate security locks, you only get what you pay for, so using a £5 cheap lock is not ideal for hundreds of pounds worth of stuff. Use metal rings and chains fixed to the shed frame with security screws or bolts to link all your electrical items and tools. 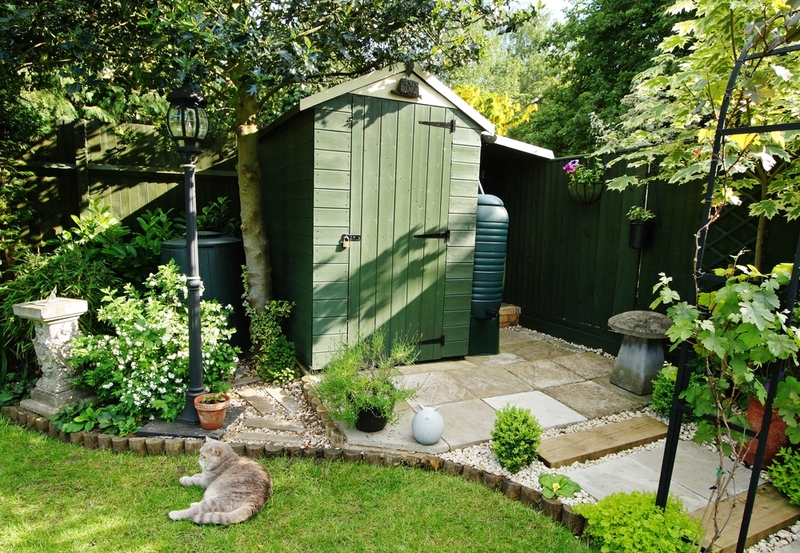 Consider a shed alarm, battery powered, to make that unexpected noise in the dead of night to frighten them off. Research the internet for further tips and products. Garages tend to be an extension to home living and have fridge’s, freezers, washing machines, dryers, exercise equipment as well as car accessories and leisure equipment. Consider the value of what is in there and upgrade your security accordingly. If you have a household alarm fitted consider extending the system into the garage. You could purchase a separate alarm just to cover the inside of the garage. Fit a garage door blocker on the outside of the door, it bolts permanently to the floor and has a large ‘T’ shaped restrictor. Consider fitting a pair of garage door locks that fit either vertically or horizontally and lock from either inside or outside. Use the same type of fixing rings and chains as for a shed to secure items together and to the floor or walls. You can consider marking your property as a further deterrent as it is harder for the thieves to sell it on. There are various property marking products on the market to choose, if you do then also use signage to warn people.